How to take measure - Fashion von FG Mode Made in Germany! Our dresses are tailored to the elastic nature. 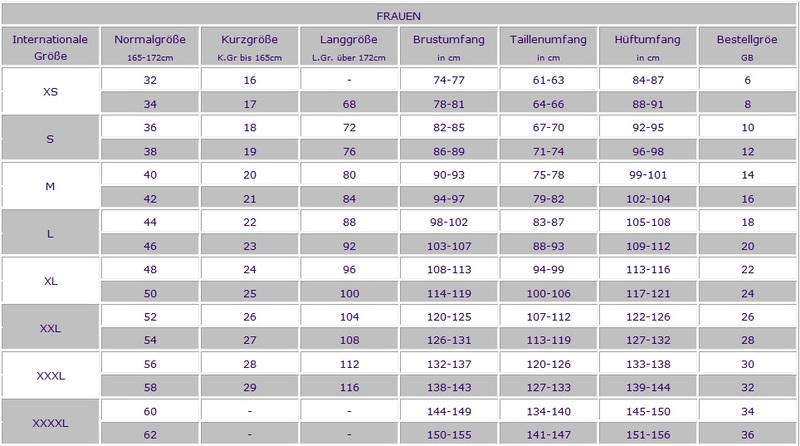 This means that if you choose size 40, the smallest size shown in the size chart will be used. In the size 40, the material in the width of 10 cm is stretchable. In the scope you can therefore add 10 cm. In the width, please measure the chest circumference and in the length, please go from the back length. Here it behaves like the clothes.